„what kind of Improvisation can become an arts practice? what kind of art can be produced from and by improvising? skills development, performance opportunities and feedback. When combined, these form a reflective practice that Andrew believes is essential in the development of improvisational performance. It is also an opportunity to feel the impact that consistent practice has on improvisational performance. We will explore sources of content such as, breath, movement, voice and imagination, which will be fuelled by the spirit of communication and shared pleasure. Participants are encouraged to become their own editor in performance, using the skills of shifting their point of attention, developing texture and maintaining clarity. Participants should also come expecting to enjoy themselves. Andrew Morrish is a freelance performer, researcher, facilitator and teacher of improvisation working between Australia and Europe. He began improvising with Al Wunder's "Theatre of the Ordinary" in Melbourne Australia in I982. 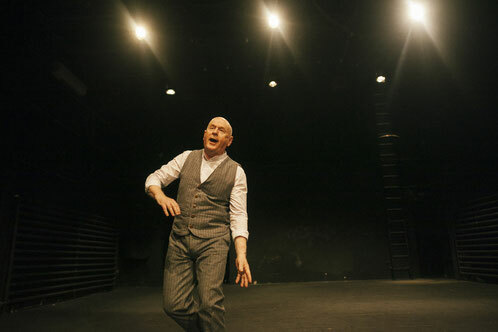 In 1987, he formed "Trotman and Morrish" with Peter Trotman, another founding member of "Theatre of the Ordinary “. They performed their unique improvisational duets extensively in Australia and the US until 1999, when Andrew moved to Sydney and began to develop his solo performing. Since 2000 he has undertaken the development of his solo performing and also teaching extensively in Australia and Europe. 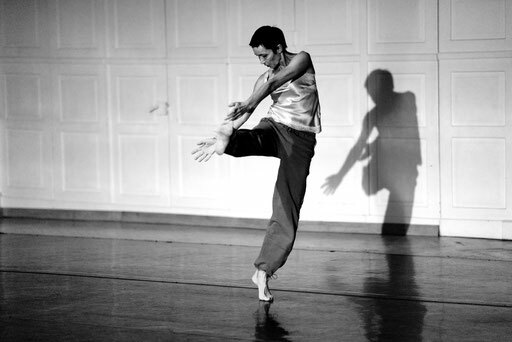 He was awarded the Australia Council for the Arts Dance Fellowship for 2016-2017. In 2018 he taught and performedin Berlin, Köln, Paris, Bouxwiller, Gothenburg, London, Glasgow, Warsaw, Amsterdam, Helsinki, Castlemaine, Canberra, Sydney, Adelaide and Melbourne. Klang und Bewegung greifen ineinander, fließen zusammen, reiben sich, stellen sich gegenüber oder setzen Kontraste. Aus dem Moment heraus mit Körper, Instrument und Stimme facettenreiche Interaktionen entwickeln. Kompositorische Möglichkeiten erforschen, die sich im direkten Dialog zwischen Tänzer*in und Musiker*in eröffnen. Welche Rolle spielt der Raum - im Duo und im Ensemble? Welches Klangpotential bringt der tanzende Körper mit und wie setzen wir ihn in der Improvisation ein? Am 23./24.02.2019 werden wir den wunderbaren Improvisationskünstler Andrew Morrish in Stuttgart zu Gast haben! Ein besonderes Wochenende für Tänzer, Schauspieler und Performer! Den künstlerischen Abschluss der Arbeit bildet die öffentliche Performance um 20:00 Uhr.